Homemade fries anyone? If you’re wanting restaurant-quality fries in the comfort of your own home a deep fryer needs to be on your shopping list! Short of takeout, there is no other way of achieving that authentic fried flavor than with a deep fat fryer. Deep fat fryers are not only for homemade fries, oh no! There are so many foods you can cook from chicken and fish to churros. So, why is a deep fat fryer better than using a traditional pan full of oil? Let me tell you! Firstly, safety is paramount and with a deep fat fryer, you can set temperature as required and regulate it throughout the cooking process; meaning you can safely avoid a fire. You can also avoid most of the spitting that a traditional pan would have. In terms of oil usage, although a deep fryer uses more oil than the traditional way of deep-frying that you can do with a dutch oven, the oil can be reused for a week or so before it needs changing. Our top deep fryers review will provide you everything you need to know when it comes to choosing and purchasing a deep fat fryer and we hope that by the end of reading it you will have chosen the best fryer for your needs. Here at Stuffoholics reviews are our thing! We have tons of experience in running methodical product research for the past five years and we really know our stuff. In fact, we arrived at our conclusion after over 96 hours of research – now that is a lot of research! 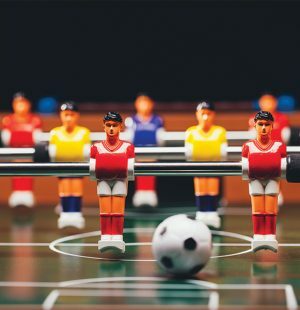 We only have one aim: to help you as the reader to choose the right product for you. We pride ourselves on being informative and unbiased and so even though we’ve had several people involved in the reviewing process, thus eliminating any biased or subjective reviews. We also review lots of different brands showing that we are not biased towards any particular manufacturer nor are we trying to promote any specific brand over another. During our research process, we reviewed over 45 different products from more than 25 different brands before we shortlisted the best Twelve (12) of them. Following on from that, we then selected the top five and ranked them in order. In our Top 5, there is something for everyone. So, whether you are a beginner and want to buy a deep fat fryer for home use, or a professional, you will find the best product available to you. Thus, whoever you are, read on if you want to find out the best deep fat fryer for your needs. This is the most common and easy to use deep fryer you will find on the market. Electric deep fryers are safe to use and perfect for home uses. You don’t have to be an expert on cooking to use one of these fryers. Electric deep fryers also come in different sizes. Small or medium size electric deep fryers are perfect for home use, unless you are not planning to deep fry a whole turkey. In that case, you will need a large deep fryer for your home. Propane deep fryers are perfect for professional uses. They provide perfect quality fried foods. However, a certain level of expertise is required to use a propane deep fryer safely and effectively. They are also known as outdoor electronic deep fat fryer or commercial gas deep fryer since they require larger space than home electric deep fryers. If you are planning to get a propane deep fryer, make sure to learn the best practice of using one to ensure safety and get perfectly crispy chicken legs or other foods of your choice. Although air fryer doesn’t fall into the deep fryer category, you will find many air fryers available on the market. An air fryer basically does the same thing with less oil. Instead, it uses a very small amount of oil plus hot air circulating in convection. It is a healthier and more efficient way to cook food as it uses less fat. Some air fryers require a small amount (a tablespoon) of oil to cook, whilst others can cook with no oil at all. As we all know, excess oil is often unnecessary and something to avoid in our diet! However, if we compare air fryers vs deep fryers, air fried foods don’t taste the same as deep-fried foods according to many food experts. Food Capacity: This will determine if the deep fryer is right for your family/friends. You will see in our reviews that there are different deep fryer sizes with one or multiple baskets. Buying a small electric deep fat fryer for a larger family or a group of people would not be a good idea simply because you wouldn’t be able to serve everybody all at once and would spend a lot of time slaving away in front of the fryer! On the other hand, an outdoor kitchen deep fryer is expensive for a small family and not really something that is necessary. Particularly if it is one that uses a lot of oil as you have to factor in the cost of the oil too. Features: These determine how efficient your deep fryer is. Many features on the fryers we reviewed can be seen as an added bonus and don’t really affect the cooking process. For example, digital controls. 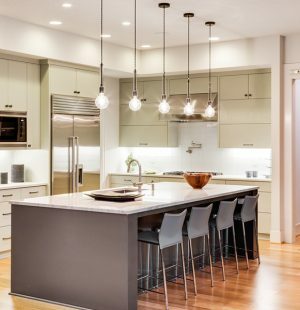 However, some features you might consider worth the extra money, like an auto shut-off timer if you are likely to get distracted whilst cooking and don’t want to risk your food getting too well-done! You’ll read lots of information about product features further ahead in our reviews. Guarantee: It’s always best to get the product with the highest guarantee. Some of the products you’ll see have a money-back guarantee if you’re not completely satisfied with your purchase and most have warranties. Design variation: There are some fryers in our list which have variations to the design. For example, you can choose to upgrade to the same product but in a digital version. To determine our Top Picks, we did a lot of reading! In fact, we pored over 17500 user reviews to see what people considered to be the most important features that users need, look for and got from the products they bought. Alongside this, we analyzed over 45 different products – that’s a lot of fries! Our shortlist came down to 12 candidates from the researched products and with this list, we did even more research. 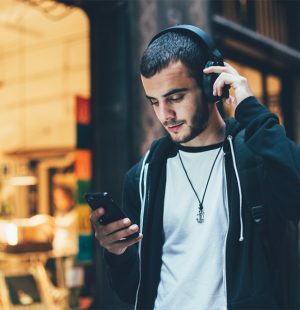 This entailed visiting their websites, analyzing their descriptions of different store pages to determine what features they typically have as well as looking at individual critic reviews. Our researchers analyzed 25 different brands, looking at their comparable features in side-by-side evaluations. The team who provided detailed feedback to us on these specific models was a diverse group of volunteers. With the data they provided, we drew comparisons with the research data we had accumulated online. Through all of our research, we came across 31 positive features that a deep fat fryer can have. Most of these features can be easily found on product manuals or specification documents. The rest of the 31 features weren’t necessarily found in the product information but are equally important for the user to know and to have. As we are providing the Best Deep Fat Fryer Review for a wide audience, it was important for us to consider the pricing of the products in our review list. 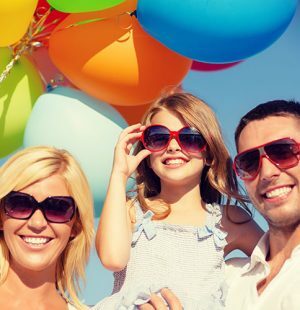 We made sure to include products that were good value for money and with a high number of positive features per dollar. Additionally, we always consider online reviews. Not only what reviewers are saying about products, but how often products are reviewed. This means we can determine and exclude obsolete products from the list so that the users can find an accurate review of the best products for 2018. That brings us on to our Top Pick! This well-built deep fryer boasts of a 3.5 liter oil capacity, and lets you deep-fry up to 2.65 lbs of food. Advanced features include an easy to adjust the thermostat, EZ Clean system for oil filtration, and a viewing window for added convenience. As previously mentioned, we have analyzed 31 features for each of the products that we have selected. This product contains 17 features, which is the highest number of features out of all of the products in our review list. It has a good average rating (4.2 out of 5 at the time of research) and it also has the highest number of reviews on Amazon. As well as this, this product has received 10 reviews in fewer than 3 days, consecutively. This gives a clear indication that the product is popular and is being sold a lot on the market. This review frequency is the best for this product range. You can purchase a deep fryer from a mere $20 to over $203. 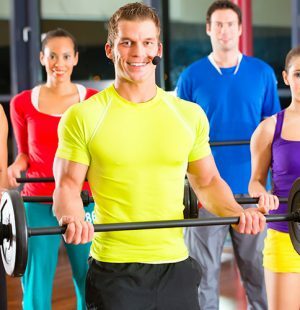 This product comes in at just around $99, putting it on the very affordable side. This fryer has the most convenient, cost saving oil filtration (Patented EZ) system. Its oil capacity is 3.5 liters and it can cook 2.65 pounds of food, meaning it is capable of cooking a lot of food for your family and friends. As well as being easy to use (it has 2 baskets for cooking and draining food), this deep fryer with oil filtration also has a submerged heating element, which quickly recovers the oil temperature. This T-Fal deep fryer has the bonus of coming in different versions. For example, it can be purchased as a Low Fat Air Fryer or for those requiring a larger item, you can go for the triple basket option. This T-Fal deep fryer runs at a powerful 1700 watts and has a single basket that can be placed in 2 positions and has a stay-cool handle. This stainless deep fryer has a stainless steel interior and brushed stainless steel exterior, which will fit in nicely with any kitchen design. 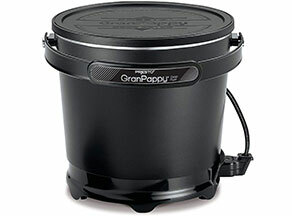 It offers perfect deep-frying has the capacity to hold 3.5 liters of oil and 2.65lbs of food. It has an adjustable thermostat, which means it is perfect for deep-frying different foods. The heating element is immersed, which means the temperature of the oil can be recovered really quickly. The patented EZ Clean oil-filtration system means this product is cost saving. It also has simple oil storage, which makes it easier to use as it has a one-step system to drain and cleans the oil after use. There is a viewing window on the lid meaning you can keep an eye on the browning of your foods without having to open it up. Everything except the heating element and the power cord is dishwasher safe and removable meaning this is a great option for people who are wanting a deep fryer but don’t want the hassle that cleaning sometimes means! At the time of research, this deep fryer had the highest number of reviews in our Top Five with over 3000. To compare, this was over 1100 more reviews than the next most reviewed product! Even with its masses of reviews, this T-Fal deep fat fryer managed to maintain its 4.2 out of 5 average rating, which means that a lot of people are buying this product and they are pleased with their purchase. And according to our panel, this is the best deep fat fryer for home use by far available on the market. This is an impressive and well-built product. It is uncomplicated and easy to use and clean. This would be suitable for anyone wanting to cook a large amount of food but who also wants an easy-to-use machine. 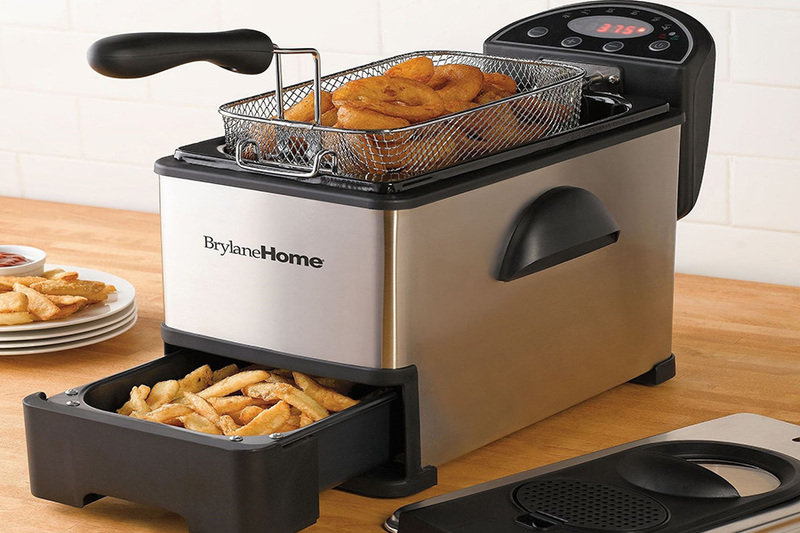 The FryDaddy is the best cost-effective fryer with its price at around $20. Plus, it uses less oil, has a non-stick surface that’s easy to clean, preset and built-in thermostat perfect for frying, and compact size for easy storage. One of the first draws this product has is its price. It costs a mere $24, which makes it the cheapest above all other products we reviewed. Thus, we present our Budget Pick. This deep fryer is cost-effective in other ways too as it takes less oil to fry food. 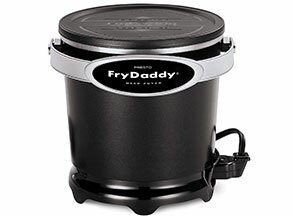 Despite being at the bottom of the price range, the Presto 05420 Fry Daddy deep fryer remains one of the best electric deep fryers with its 15 positive features. At the time of research, it had over 2199 reviews on Amazon and a higher average rating than our top pick 4.4 out of 5. What brought it into our number 2 slot was that is lagged behind in features compared to our top pick, although it still has 15! To add, it has been receiving 10 reviews in less than 12 days, consecutively, meaning that consumers are purchasing this product and reviewing it frequently. Finally, it has a preset thermostat for perfect frying every time and, with a nonstick surface both inside and out, making the deep fryer cleaning very easy and effective. 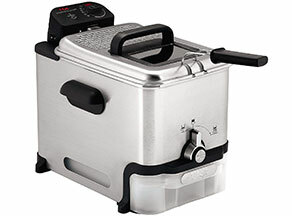 This Presto deep fryer is 1200 watts and comes with a handy scoop lifts to drain and serve. If you don’t like messy baskets, you will love this product! It is also compact, which is great if you want to be able to store this away when it is not in use. This is a really easy product to use and maintain. It is cost saving in that it only uses 4 cups of oil and runs on lower power than many others in our Deep Fat Fryer Reviews. The oil storage is really simple and easy too as is the cleaning – there is no messy basket and all surfaces inside and out are non-stick. Thanks to its pre-set thermostat, it fries perfectly every time. In terms of capacity, it has a 4:4 ratio of oil to food, which means you can cook for large portions of food and only use 4 cups of oil! The fryer’s pre-set thermostat means that you don’t need to set any controls. It automatically maintains the perfect temperature for frying your food. Often with budget options, cleaning is more difficult. Not with this pick though! Its non-stick surfaces make it really easy to clean and, as it only uses a small amount of oil, cleaning is even easier! The FryDaddy comes with a one-year limited warranty so even though it is a low-cost product, the manufacturers are still confident that it is good and durable. 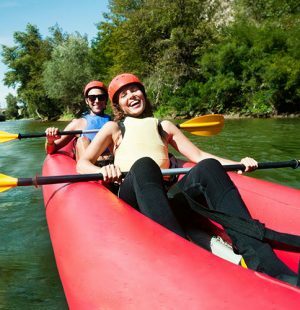 From almost 2000 reviews, it maintains an impressive 4.4 out of 5 average rating and is reviewed frequently meaning that lots of people are choosing to buy this product and are happy with what they get for their money. You can also be safe in the knowledge that this product is built to North American Electrical Standards. An excellent choice for those on a budget who still want a large number of features for their money. This powerful fryer lets you save time and space while cooking. It comes with three baskets – one large and two smaller ones that let you fry a large bunch of food in the big basket, or two different types in smaller baskets. The Secura Deep Fryer comes with 3 baskets, which makes it perfect for cooking different foods at once! There is a large basket, which you can use if you’re just cooking one large batch of food or alternatively, you can use the 2 smaller baskets to cook 2 different types of food. The fryer is built from stainless steel, which is ideal for this type of product and is a powerful 1700 watts. All three baskets have a hook that allows you to drain them easily and without a mess. Altogether the fryer can hold 4.2 liters, meaning it is ideal for cooking for a larger group of people. There is a power-on light and an oil-ready light as well as a viewing window, which allows you to see how your food is progressing without having to open the lid. The baskets fit nicely on to the rim of the oil tank so you can put your food in before you are ready to begin cooking. The temperature of the oil recovers fast too so you don’t have to wait too long for your oil to be at the correct temperature. The temperature is adjustable up to 375 ̊. There is a 60-minute timer. There is also a nice feature of a carbon-activated filter that reduces cooking odors. The baskets are dishwasher safe so you can be happy that you don’t have to spend time scrubbing oil! The lid also prevents splatters, which is a nice feature. The oil tank is removable making it really easy to clean. This fryer costs around $64.99 and has an average rating of 4.3 out of 5 from over 1300 reviews. There is also a full 1-year manufacturer’s limited warranty for peace of mind. The review frequency is really good too, so many people are buying and enjoying this product. Ideal for the larger family or if you like cooking two different foods at once! If you don’t want to be reliant on a timer, this may not be the best option for you. This product also comes in another version. For a smaller family or a single person, the Secura Deep Fryer 3.2Quart has only one basket. This sleek and simple cast aluminum fryer is a great option for beginners. It has an automatic temperature control, a non-stick surface, and rubberized feet that stick on the countertop. It’s easy to use and very affordable, too. 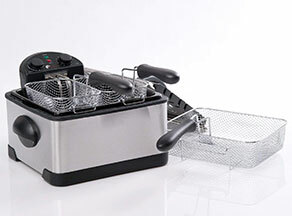 This heavy-cast aluminum Presto GranPappy fryer is a 1500 watt machine whose design is sleek and simple. It has the bonus of having rubber feet too so you can be sure it is safe up on your countertop. The surface is non-stick both inside and out. It comes with a slotted scoop rather than a basket. This fryer is really easy to use! To get started you just need to plug in and add oil! After 15 minutes of heating up, it will be ready to use. It has a 6:6 ratio, which means it can cook six servings of food using 6 cups of oil. The temperature is maintained automatically so you can rest assured that your food is cooking at the perfect temperature. There is also a lid so that you can store the oil after draining for reuse. This fryer has a magnetic safety chord, which detaches and turns off the fryer if it is jerked on the countertop. It also comes with a handy recipe sheet to get you started. Before you can clean this product you need to unplug it and allow it to cool. You can’t immerse it in water so cleaning is a bit more of a challenge than with other products in our Top Picks. This is the second cheapest fryer in our Best mini Deep Fryer Review 2019 and it retails at under $36. It has a good review frequency but did have just under 1000 reviews at the time of research. The average rating was a very respectable 4.5 out of 5, making it the second highest in our Top Five. The product comes with a one-year limited warranty too. You can also have added peace of mind with the knowledge that this fryer is built to North American Electrical Standards. If you’re looking for a no-frills option that does the job and aren’t particularly interested in a complicated product, this would be a great purchase. You can also purchase this fryer as a 2 pack or a 3 pack. The Hamilton Deep Fryer keeps you safe from accidental burns with its cool touch safety feature, plus a cooking basket that can be lifted and drained without removing the lid, saving you from oil spatters. 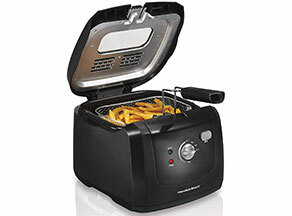 The Hamilton Beach Fryer has a cool-touch design meaning you won’t burn your fingers if you touch it whilst it is on. There is a single basket. The oil tank is enamel-coated. This fryer heats up super-fast and has a 2-liter oil capacity. You can cook up to six cups of fries at any one time. The baskets can be hooked on to the unit to drain and this can even be done whilst the lid is still on, which is an excellent feature for ensuring safety as well as less mess! The heating element is immersed so it heats the oil really quickly. The temperature can be adjusted and there is an indicator light so you know when it is at temperature. The temperature of the oil also recovers quickly. You can monitor the cooking of your food through the viewing window and can also check on the food when it is draining as you can drain it whilst the lid is still down. The indicator light gives you added confidence that you know the oil is ready for cooking. The whole product has a cool-touch surface and it can be cleaned with ease. The lid, heating element and oil tank can all be removed for cleaning. The Hamilton Beach has an average rating of 4.1 out of 5 and this is the lowest out of our Top five reviewed products. It does have a good number of reviews and a good review frequency and is a reasonable price of around $48. It has 13 positive features, which is the same as the fryer in our number 3 spot. Hate the greasy mess that some fryers leave behind when you open the lid to drain? Then you don’t have to worry about this one. I love the fact that you can both drain your food and see it without raising the lid! This is definitely a pulling point for me. Patented EZ Clean Oil Filtration System: The machine drains oil automatically and safely with the help of EZ oil filtration system. It means that the oil stays cleaner for longer and is therefore healthier. The oil is stored away ready to be used again and because it has been drained and filtered, you don’t get the transfer of flavors if you reuse the same oil. Electrical Standards: A set of standards adopted to ensure that electrical products are built safely for the country they will be used in. If something is built to North American Electrical Standards, you know that the manufacturers have had their product tested to be safe for use in your country. Air Technology: A fryer that uses Air Technology cooks food with less oil making it healthier than a traditional deep fat fryer. Air Technology uses a convection current to circulate hot air around the food and coating it with a really thick layer of oil. It is also a much more efficient way of cooking food. Nowadays we can rest assured that modern deep fat fryers are much safer than the traditional deep fat fryers that were renowned for overheating and causing fires. However, it is worth noting some safety tips anyway. If there is a fire in a kitchen that involves the use of grease or oil, you must never attempt to use water to extinguish the fire. Have you ever dripped a tiny amount of water in a hot frying pan? Then you’ll know that it sizzles and in larger quantities, would be explosive. The water would simply cause the fire to splutter and get bigger. It is a good idea to always have a mini fire extinguisher in the kitchen in case of emergencies. Also, it is important never to leave a fryer unattended because like pressure cooking, frying is a quick way of cooking food, meaning that it can very quickly burn and turn into a fire hazard. 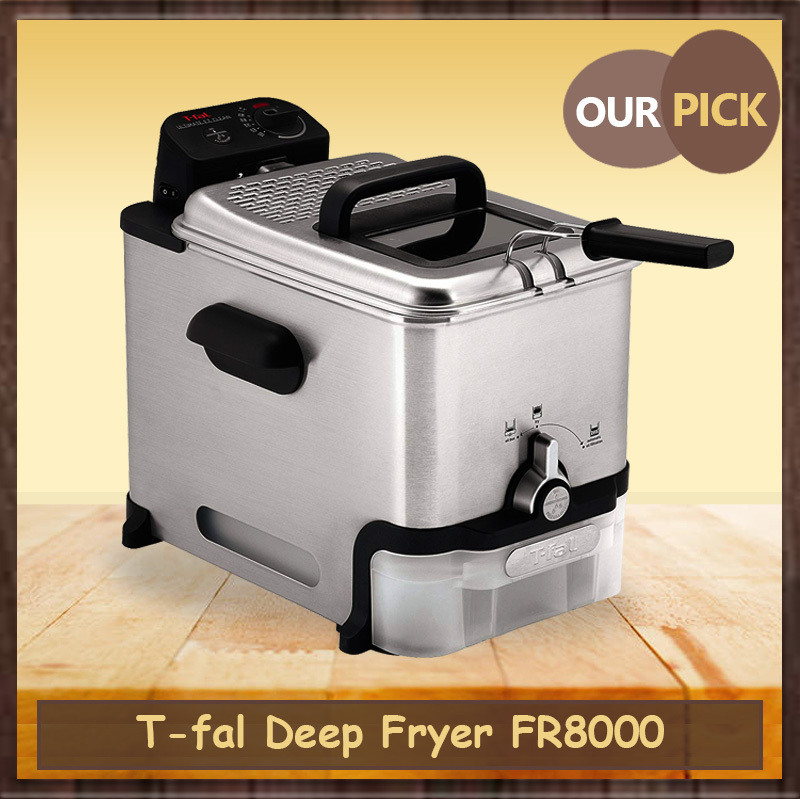 Here at Stuffoholics we really hope to have eased the process of choosing a deep fat fryer for you. If you still haven’t decided then our Top Pick would be a good choice. However, it might not be the best choice for everyone. If you’re looking for something with more advantages and technology, you’d be better off opting for the Advanced Pick. Our complete guide has so much information that you should, hopefully, be feeling much more informed about what to look for in a deep fryer. That being said, before you head out and buy a fryer, or click ‘buy’ online, it is a good idea that you do your own research. If you can get to a store to look at the product and see how it all works, even better. Alternatively, read up on what reviewers are saying – but keep an open mind as some reviews may be biased. Good luck in your search for the best deep fat fryer!